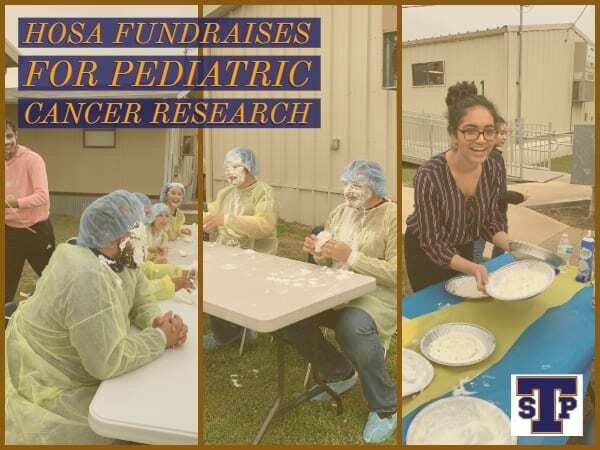 Stony Point HOSA’s (Future Health Professionals), Throw a Pie in Your Face for Pediatric Cancer Research was a great success with $250 raised! Only 5% of all money collected for Cancer Research goes toward Pediatric Cancer. HOSA felt the need to help. Administrators, teachers and students volunteered to have a whip cream pie in their face. Parents and students could donate $2 to put a pie into a volunteers face. Principal Anthony Watson did his part to raise money for Pediatric Cancer Research by having a pie in his face!